- Keyword Research and Traffic Analysis. - On-Page Optimisation or Optimisation Consultation. 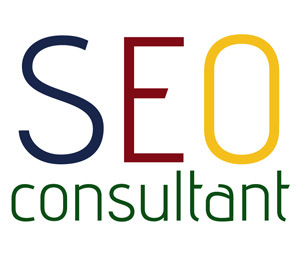 - Off-Page Optimisation of Optimisation Consultation. - Defining Strategy For Internal Navigation and Link Building. Brand Core Media is one of the leading SEO Company in Ahmedabad and India with clientele based in all over the world. We provide SEO service with cost efficient and performance driven measurements. Our digital marketing solutions include SEO, SEM, Facebook and Twitter marketing, Social Media Optimisation, Pay-Per-Click Advertising, Online Display Advertising and Video Optimisation. Since its inception six years back, we have driven results for multiple organizations starting from individual service providers, small scale industry, big corporate houses and MNCs. As an experienced web design and SEO consultant, we have been providing services with highest levels of the customer satisfactions since last six years. During the process of search engine optimisation for any website, we examine the website thoroughly and make sure all possible aspects of the rankings are improved at it’s best. First we find out what all are lacking behind in any website to make it search engine friendly and boost ranking. We perfect all on-page factors and make your website crawler friendly at first mark. After that, we implement other ranking strategy like link building, content marketing, social media optimisation, viral marketing to get your website ahead of competition. We consider the use of Social Media for getting popularity over the Internet and make it combine efforts that speak for your brand and business. Today’s era of Internet is not only about reaching on the top of search engine rankings but also creating a communication channel with your customers. With the increasing role of social media sites like Facebook, Twitter, YouTube, LinkedIn, Digg and more, creating powerful online presence has made a clear way of getting business. And at the Brand Core Media, working closely with you, we develop a strategy that helps you get most out of your Internet presence. We aim to maximise the benefits on a long run period. Mixing social media optimisation with SEO gives you better reach and higher chances of improved conversation, and we make this possible for you. Apart from this we make sure your website gets full positive potential through online reputation management, public relation practices through direct mailing and PR sites and content viral marketing for generating buzz for your website.